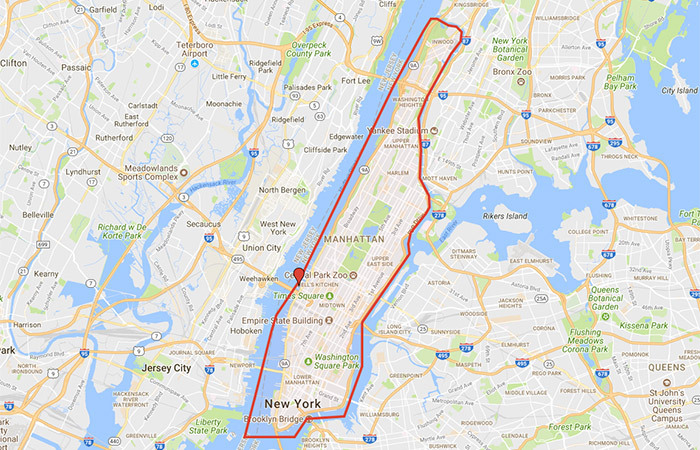 The Circle Line Best of NYC Cruise is the longest cruise available. 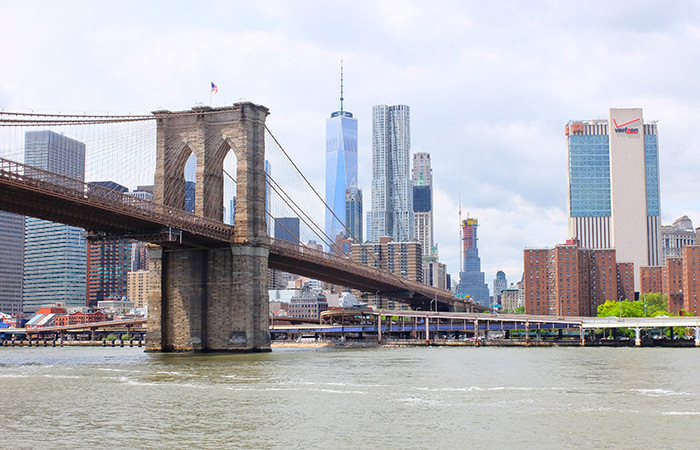 During the leisurely 2.5 hours you’ll explore the entire Manhattan island by boat. The cruise is available in summer and winter. After the boat leaves the pier, you will cruise over the Hudson River. You will see Midtown with its huge skyscrapers, the extremely expensive apartments of Greenwich Village and the Financial District. The entire boat tour you will have live commentary as the guide will tell you fun facts about the places and buildings you pass. For example, in Greenwich Village you’ll see the unused pier where the Titanic should have docked. At the Financial District, you will not only see the enormous Freedom Tower, the heart of the new World Trade Center, but also the glass Winter Garden with its palm trees at the foot of the skyscraper – something that you might not have noticed otherwise. The boat will take you to the Statue of Liberty where you can view Lady Liberty in all her glory and take beautiful photos. From thereon you will travel to the East side of Manhattan. You will pass Wall Street and go under the Brooklyn Bridge in a most spectacular way. You will see the noble houses on the Upper East Side and even pass the new Yankee Stadium where the famous New York Yankees play their home games. Worthwhile is seeing the busy Northern Manhattan quickly change into the peaceful Hudson River and its surrounding woods. From the North you will travel back to Pier 83 past the Upper West Side. During the cruise you can order food and drinks at the bar downstairs. There are also plenty of toilets on board to use. If you are taking the boat tour during the summer, make sure to bring sunscreen. Even though it may be cloudy, you’ll burn quicker on the water. Eric’s Tip: If you want to see the whole of Manhattan, definitely take this tour. It offers a peaceful moment during your trip when you can relax for 2.5 hours whilst enjoying the beautiful views. Because it goes much further than other boat tours, it is the only one on which you get to see Yankee Stadium from the water. The tour also takes you under many bridges that you wouldn’t normally get the opportunity to see. The tour starts on the Hudson River on the west side of Manhattan at the Circle Line terminal. The terminal is at Pier 83 (12th Avenue between 42nd and 43rd Street). The queues at the terminal are often very long but booking your ticket beforehand can save you 2 hours waiting time.